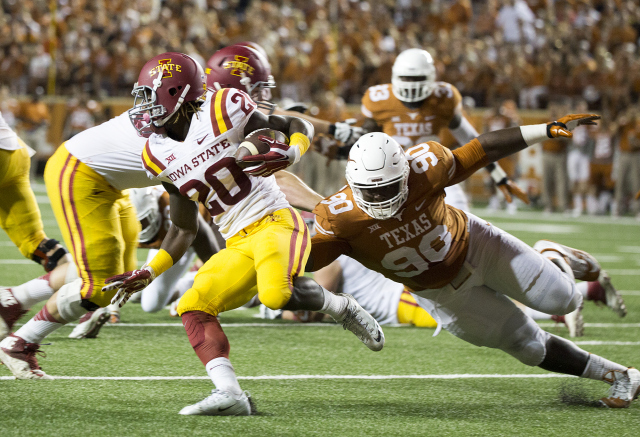 Where will Cameron Erving play next season? 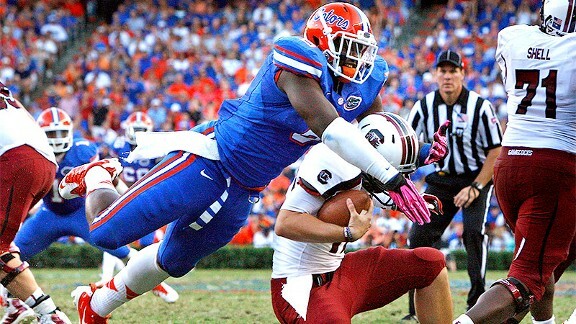 Some analysts were bemused when the Browns elected to choose Cameron Erving with the 19th pick of the draft. Erving whose play improved considerably when he moved from left tackle to centre was for some a strange choice when the two positions that he has played have two ProBowlers there in Joe Thomas and Alex Mack. While some believe that the Browns have him in case Mack decides to leave at the end of the season when his player option comes up, I think that the drafted the player they felt would be of most value to them. In all likelihood, if Erving leaves training camp a starter it will be on the right hand side of the line. Thomas, Bitonio and Mack are here to stay on the left but could unseat either John Greco or Mitchell Schwartz on the right. Greco who was the better of the two players before being asked to move to centre after Alex Mack went down. The big issue for Greco in keeping his job could be his age and the bias that Erving will get as this front office has to be invested in Cameron Erving after selecting him in the first round. As for Mitchell Schwartz he has had two up and down seasons but the coaches seem to have a lot more faith in him than the fans do. 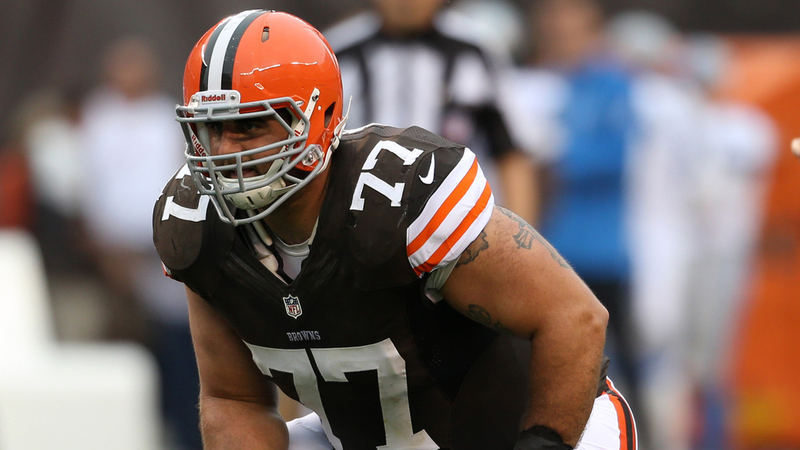 The Browns may opt for a very different look and move Schwartz inside to right guard and play Erving. The Browns have also floated the possibility of Michael Bowie competing for the starting job after he was stashed on the injury reserve last season. Even if Erving doesn’t win the job he still guaranteed to see plenty of action both in goal line and short distance. It should be a pretty interesting training camp battle to decide who will starting next season. Browns signed eight new players today and cut four more to bring their roster to the off-season maximum of 90. The players cut were WR Phil Bates, K Garret Hartley, DB Varmah Sonie and DL Christian Tupou. All but one are undrafted free agents with local boy DB Brandon Stephens from Strongsville, OH being the only second year player. The other notable signing is Rodman Noels, the brother of Philadelphia 76ers centre Nerlens Noel. Rodman who is 8 inches smaller than his brother was a three year starter at North Carolina State. The other signings were TE Emmanuel Bibbs (Iowa State), WR Paul Browning (Colorado State-Pueblo), DB Landon Feichter (Purdue), TE Kevin Haplea (Florida State), WR Darius Jennings (Virginia) and RB Luke Lundy (Ottawa). When I looked back at who the Browns drafted in the first three rounds, I couldn’t help but think that the Browns are trying to build a true blue collar team. Last year Mike Pettine’s mantra was to “play like a Brown” and Ray Farmer seems to building around that with hardnosed selections. Last year’s first round was a flashy one with Justin Gilbert and Johnny Manziel but this year was blue collar as they come with Danny Shelton and Cameron Erving. The Browns continued that vein in day two with OLB Nate Orchard, RB Duke Johnson and DL Xavier Cooper. While the “Draftniks” cried out for the Browns to pick a wide receiver, Ray Farmer and Mike Pettine chose to go to smart and unsexy picks that will have a bigger impact on how many games the Browns will win next year. It should have been no surprise really with Ray Farmer’s views about wide receivers and their value. Pettine who was defensive coordinator on Rex Ryan’s Jets teams who went to two consecutive AFC Championship games with Mark Sanchez at quarterback knows that you don’t need an elite quarterback to succeed and win games. Those Jets teams that Pettine was part of were a mix of a bruising run game and an elite defence that is not too dissimilar to last year’s Seahawks. Last season, the Browns made strides but were held back by the league’s worst run defence. 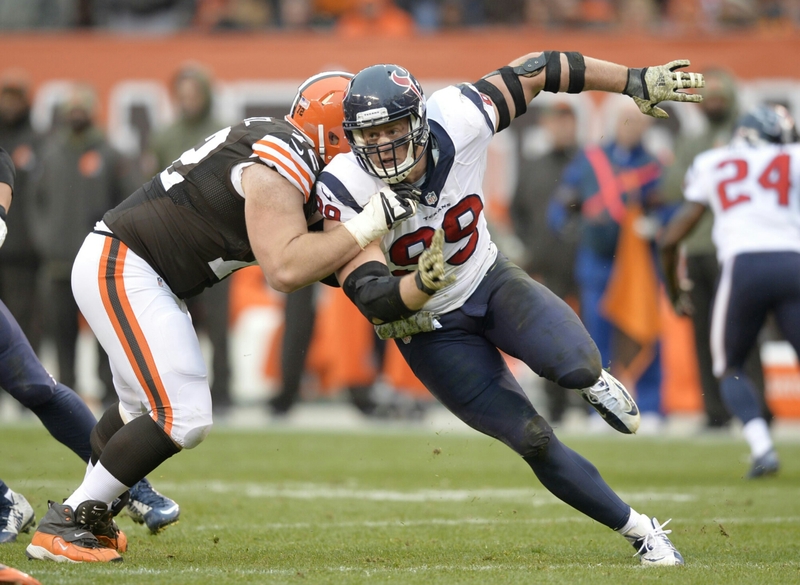 Gone are Ahytba Rubin and Jabaal Sheard in free agency, neither of whom really suited Pettine’s 3-4 defence and replaced with the space gobbling Danny Shelton at nose tackle, Randy Starks and Xavier Cooper at end and Nate Orchard at outside linebacker. Next season the Browns will have the depth they craved so badly last season especially upfront and this influx of talent gives the coach Pettine more freedom to call those exotic that he loves. I’m going to go out on a limb here and say that will have a top 10 defence next year. The other place that the Browns really struggled last season was offensive line depth after Alex Mack went down with a broken leg. That coupled with the fact that Mack has player option at the end of this season, made finding a potential replacement at centre a priority. Farmer responded to this by going out and grabbing Cameron Erving from Florida State who has played at both left tackle and centre for the Seminoles in his senior season. Erving obviously won’t be starting at either position this season with the Browns having All Pros at both positions but could potentially start at right guard or right tackle this season or sit this season as he acclimatises to the NFL. But what is the use in having all that beef up front of you don’t have an elite running back to take advantage of it? That’s where Duke Johnson comes in. Johnson who played his college ball at the U will be an immediate upgrade catching the ball out of the backfield and Bleacher Report’s Matt Miller reckons he should be at the top of the depth chart straight away ahead of Isaiah Crowell and Terrence West. Johnson is Miami’s all time leader in rushing ahead of former NFL players such as Frank Gore, Clinton Portis and Willis McGahee. Johnson was terrific value in the third round considering many had an early second round grade on him. 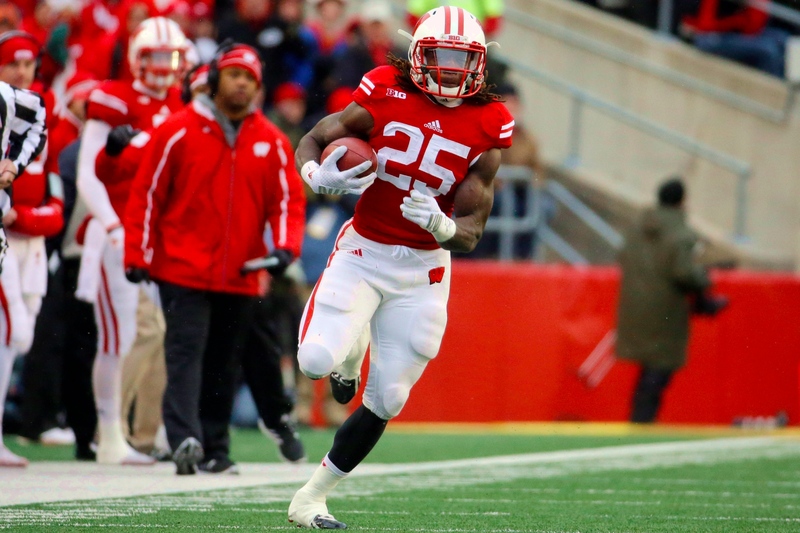 Having three running backs capable of pounding the rock will be a key part of establishing this new blue collar team. Ray Farmer and Mike Pettine have made it clear the direction they want this team to go and hopefully continue to draft quality players in the later rounds. The Browns seem to have learned from last year’s immature rookies and are placing an emphasis on drafting team captains with Danny Shelton, Cameron Erving and Nate Orchard all being team captains in college. The most encouraging sign for this draft, that the main two decision-makers were Mike Pettine and Ray Farmer, not Jimmy Haslam and a homeless guy. 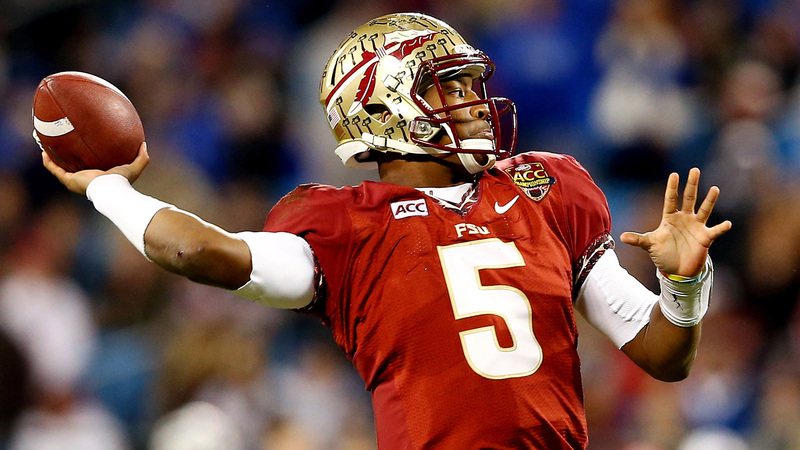 Every year, a few GMs make some head scratching decisions with who they do and don’t pick. This is year was no different and now I’m going to at a few of them. When Oakland passed on Leonard Williams at 4 to get the guy they wanted all along in Amari Cooper and left him on the board for Washington I was sure that he going onto the stage to meet the commissioner. A front with him and Terrence Knighton would give most running backs sleepless nights. Instead they invested in their o-line and pick Brandon Scherff out of Iowa which felt like a bit of a reach there. I knew teams like the Falcons at 8 where considering making a run at Gurley to fix their poor running games but I was not expecting the Rams to take him at 10. The Rams had a pair of nice running backs already in Zac Stacy and Tre Mason and it makes it the fifth time in four years that the Rams have drafted a running back. What were they thinking? 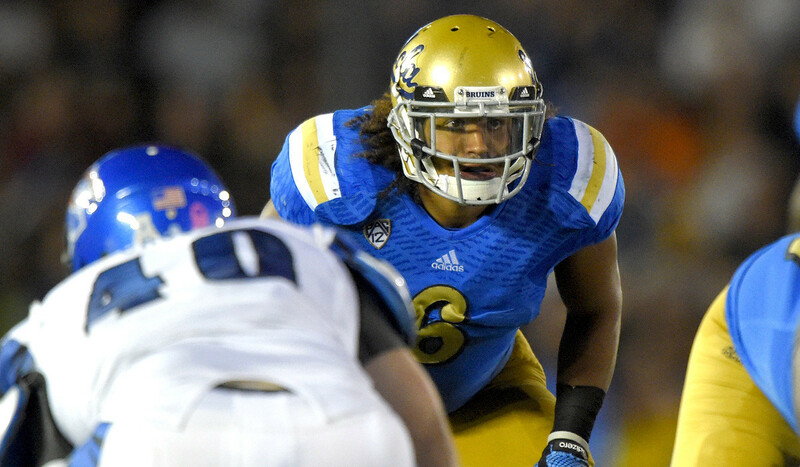 Peat was a borderline first round player and the Saints make him the top tackle to be picked? I know the media can have different opinions on players to the teams but surely so one must be noticing that Stanford tackles are not all they are cracked up to be. Look at Jonathan Martin and David Yankee. Peat was a reach that the Saints will probably end up regretting. While I get the Colts think that if they are going to win a Super Bowl it’s gonna be with offense and they reckon that a wide receiver will help them outscore anyone. Yet it missed their biggest need, tackle for a luxury pick. The Colts needed to keep up their franchise quarterback on the field as without Luck on the field they won’t reach the playoffs let alone the Super Bowl. 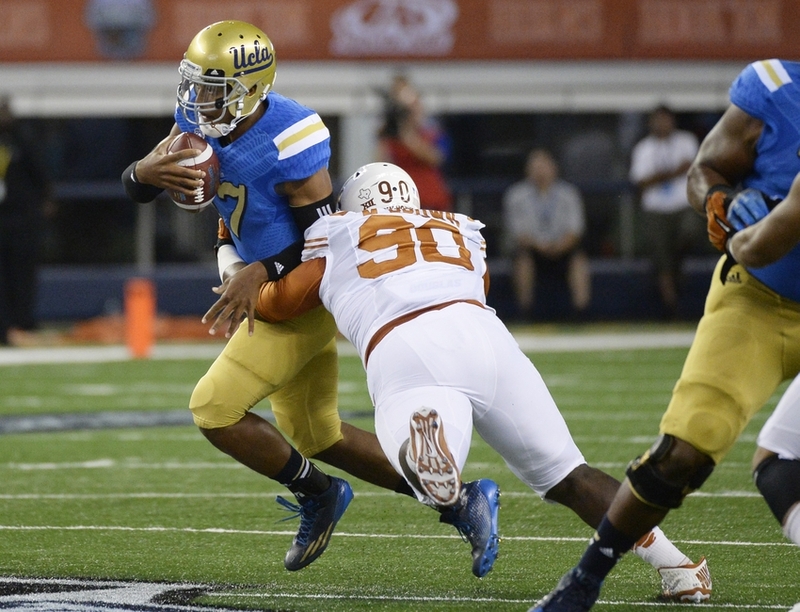 The Patriots replaced former All Pro Vince Wilfork with Malcolm Brown out of Texas. Brown was expected to be selected around the #20 but instead was passed over until Belichick went and got him. Easiest pick in the draft, just slotted him as the certain pick and moved on. Don’t see Titans picking Mariota because of Mettenberger and because Williams is best player available. It should be noted though that I am a very big Mettenberger fan from his LSU days and could be completely wrong. Also this could be a trade but if it’s going to happen it won’t be until Tennessee is on the clock. For me it comes down to whether or not Williams is available or not. 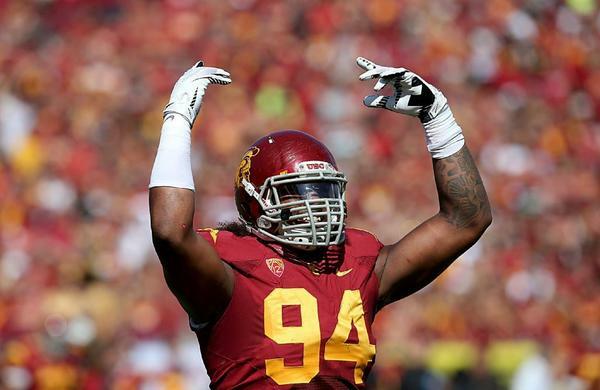 If he isn’t Fowler is a shell of a consolation prize and is probably the better fit for Gus Bradley scheme. Oakland have the QB, now they just need toys for him to play with. 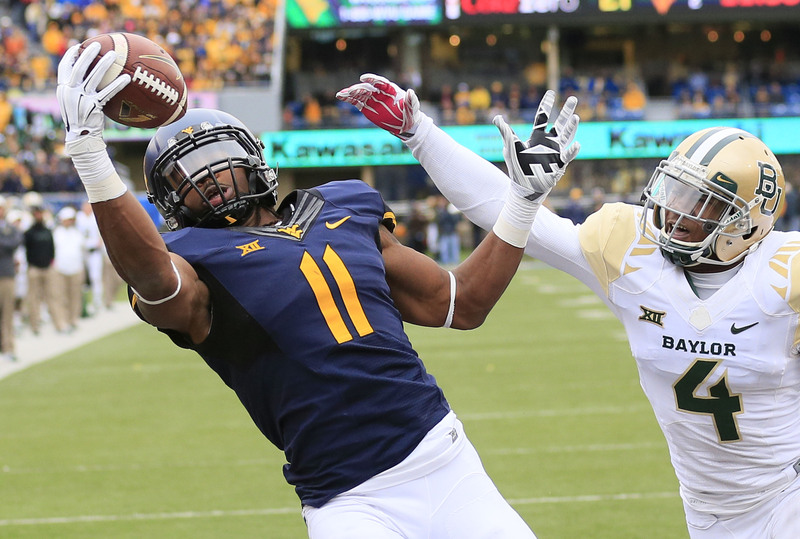 While Kevin White might have a slightly higher ceiling he is a small bit of project and has only a small sample size. Cooper on the other hand was playing like a Probowler last year in Lane Kiffin’s pro style offense. Pick the safer Oakland and enjoy tens years of Amari Cooper. 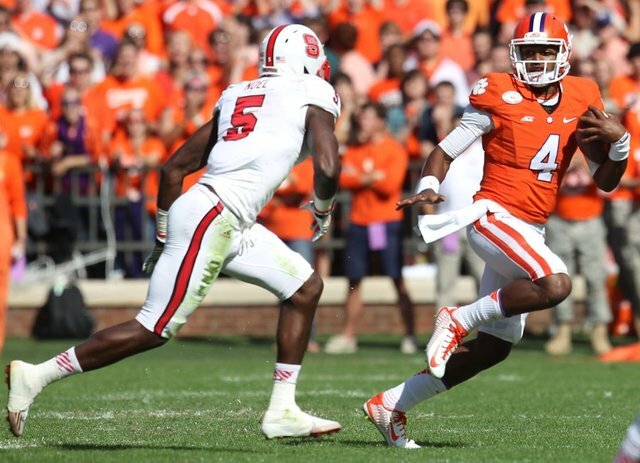 Vic Beasley was considered a late first round pick before the combine in February but thanks to good numbers in Indianapolis and the stupidity of other edge rushers (Randy Gregory and Shane Ray), Beasley could be the second pass rusher taken. Washington lost the injury prone Brian Orakpo to Tennessee in free agency so Beasley would be a nice replacement. I don’t feel I can fully trust Beasley though, a bit undersized and reminds me too much of Barkevious Mingo. Mariota’s draft slide ends here with the Jets realising that Geno Smith and Ryan Fitzpatrick can’t be trusted. It does feel like a bit of a weird fit though with the quiet Mariota going to bustling New York city or New Jersey to be more accurate. More than likely he won’t still be on the board here. With Brandon Marshall gone to the Jets, the Bears need a replacement and Kevin White will step right in to become Alshon Jeffrey’s partner in crime. The Bears know that it’s bad enough trying to trust Jay Cutler with weapons so I don’t think they want to imagine trying to trust him without any. Atlanta has for some time needed to get after the passer and try and have some defence to help Matt Ryan, Julio Jones and co. They hired Dan Quinn to do as much so it’s time to give him some talent. Bud Dupree has risen fast like Beasley and has some pretty freaky athleticism. For me makes a lot of sense, the Giants need help on their offensive line and like to draft MidWest linemen. Scherff played tackle in Iowa but will probably transition to guard in the NFL. Has brilliant technique from playing under Kirk Ferentz. They need help as Tavon Austin has been a bust and they need some height for Nick Foles to work with as well. Parker and Bridgewater reuniting a pick later would have been nice but bad look Vikings. I feel if Parker isn’t there then Vikings go corner I think. Zimmer was DC when the Bengals drafted cornerback for what seemed like 5 years in a row. I think the Vikings will have to overlook the fact he got kicked out of Washington to get the best cornerback in the draft. Shelton is the perfect fit to put right in the middle of Mike Pettine’s defence and allow Phil Taylor to shuffle over to DE. 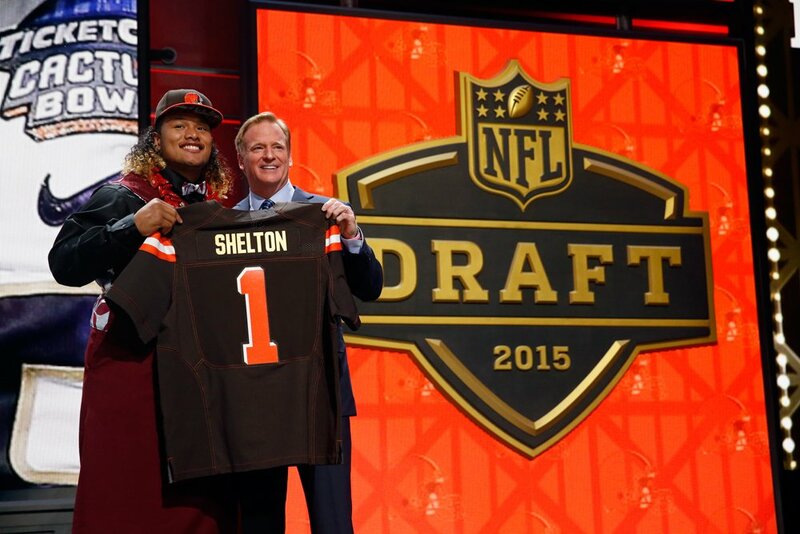 Shelton is a monster who said that when asked if one visit stood out, said that he loved what the Browns were doing and that he would be a perfect fit. Saints need help in the secondary badly because without good corners playing Rob Ryan’s aggressive 3-4 Blitz oriented defence is suicide. Trae Waynes is nice pickup here for the Saints. The Dolphins breaks the pattern and select a running back in the first round. Dolphins are pretty close to getting over the hump and getting into the playoffs and the addition of Gurley along with the free agent signing Ndumakong Suh will make that goal a lot easier. 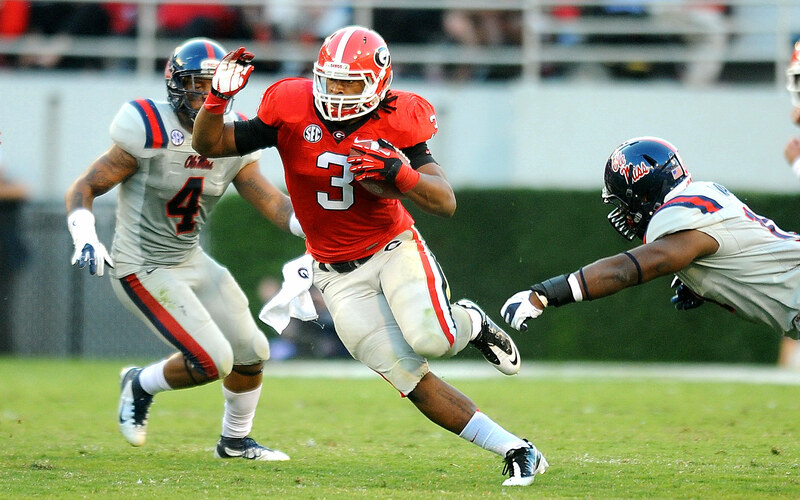 Gurley is a top 10 player talentwise who could help to bring the best out of Ryan Tannehill. Reportedly like him a lot and would be a good fit for what they like to do particularly with the other DE Justin Smith getting on a bit. The Texans need cornerback help if they are to get past Andrew Luck and win the AFC South. Johnson is not the heaviest in the world but is a good guy to step in. Chargers go running back to replace the oft injured Ryan Matthews who is now plying his trade in Philadelphia. Gordon will fit nicely with Rivers in Los Angeles. They signed Jeremy Maclin but I don’t think that is enough to change the fact they didn’t have a touchdown pass to a wide receiver last year. 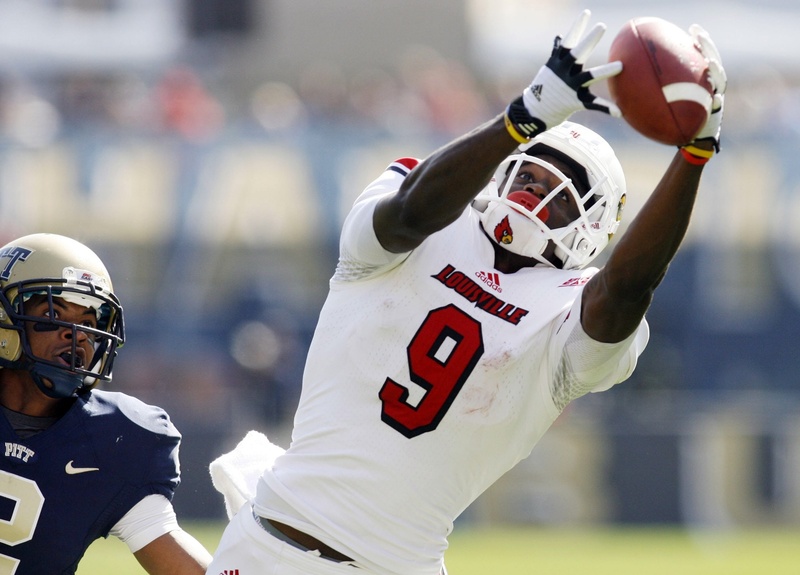 Perriman is rising quickly on boards and helps fill a need with Josh Gordon out again. Ray Farmer also ate with him on Sunday in Orlando. Chip Kelly will miss out on Mariota and have to settle for upgrading his pretty vanilla secondary with the athletic Damrious Randall out of Ariona State. Steelers legend Troy Polamalu retired after a stellar career in Pittsburgh and Landon Collins fits right into replace him. 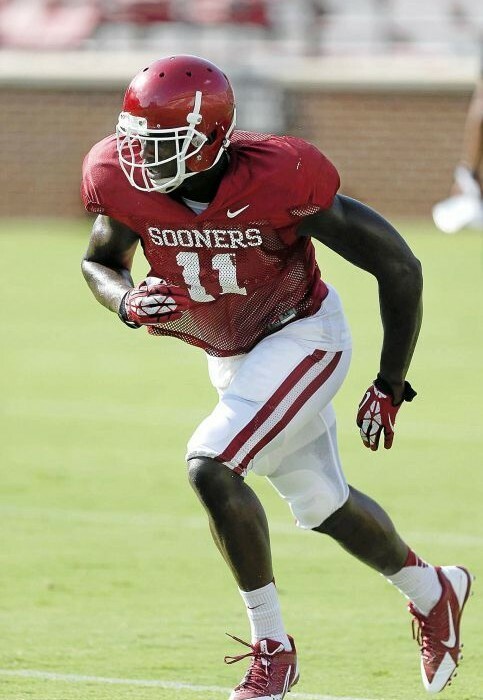 I know that Shamarko Thomas is there but Collins will be an upgrade over hime. The Lions lost the two defensive tackles that made them so difficult to run against with Ndumakong Suh and Nick Fairly leaving in free agency. Now the have the oppurtunity to slide another player in next to the aging Haloti Ngata and have a formidable front again. 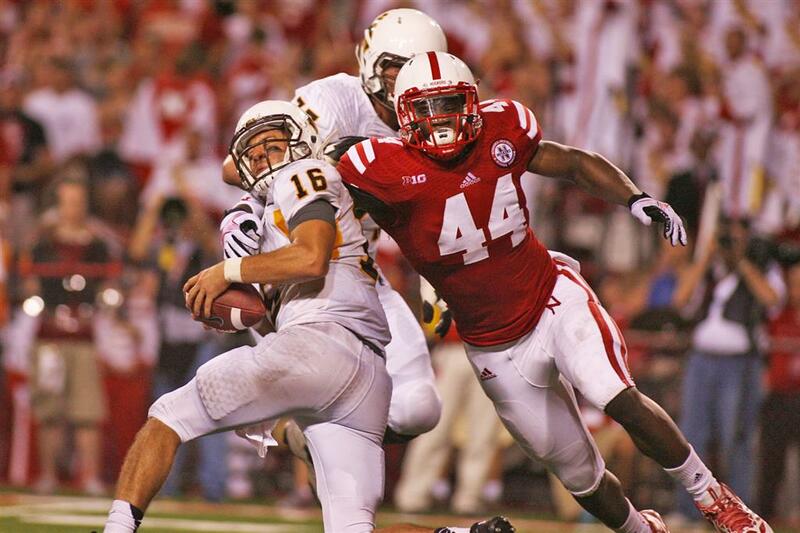 Randy Gregory have probelms but is too talented to pass up here for the Cardinals who could use some help running the rushing the passer to force QBs to throw to their fearsome secodary. The Panthers offensive line is so bad that I’m pretty sure that I could start and be an upgrade. This might not be DJ Humphries but it will their highest rated tackle so that they aren’t relying on Michael Oher. The Ravens take the best player available to bolster a pass rush that will be scary next year with Terell Suggs and Elvis Dumerville. At This point any concern is negated by the talent available. Stephen Jones will over rule Jerry Jones and make the smart pick to bolster a pretty weak defensive front. Brown will stay in state and be a good fit for the Cowboys. Broncos need a tackle and this is the best one available. Fischer was a captain at Oregon last year and will slot right in with his athleticism in Gary Kubiak’s play action based offense. The Colts need help on the O-line and Erving can fill in just about anywhere on the line. Protecting their franchise QB has to be the the Colts number one priority. When you have to play your best defensive out of position, you aren’t going get far because you just robbing Peter to pay Paul. Kendricks can play in the middle and let Cley Matthews can return to terrorizing QBs. Saints need to bolster their offensive line and Flowers would fit nicely in to protect Drew Brees in the Bayou. The lost Darelle Revis and need some to fill and Byron Jones could be that guy with freaky athleticism. Really this is a luxury pick and Belichick will probably trade back as he always seems to and grab four players who’ll start with what he gets instead.